I’ve never been to the Do Lectures, but have been a long time admirer from afar. I’ve lived vicariously through many friends that have had the chance to experience it, starting with Ross a few years ago. 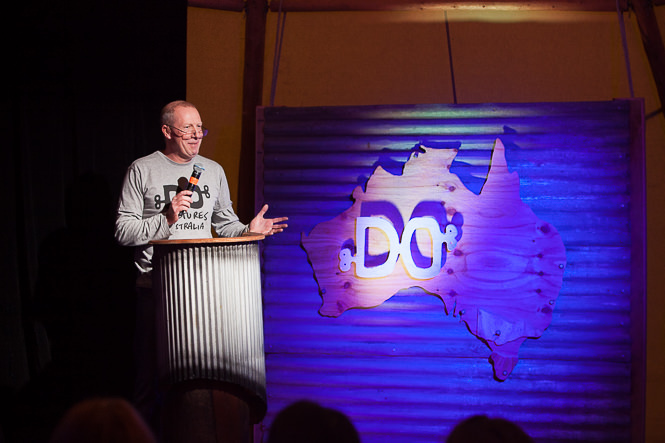 More recently, many of the people I love and care about in Australia headed along to the inaugural Do Lectures Australia a couple of months ago. From all reports, Sam and Mel (and everyone else) did an amazing job making that happen. Two other friends that went along recently were Abi Goodfellow and Olivia Smith, who are colleagues of mine at Yammer. I wanted to chat to them about their experience of attending the Do Lectures in Wales and Australia in the last few months, and pick their brains about how that’s changed the way they view the world. I also wanted to hear some basics about the Do Lectures, so more people can find out about it. I asked Liv and Abi to explain what the Do Lectures are, why they’re so special and to provide some advice for people in filling out their own application forms. I know I’ll be using that for next years applications! The Podcast is below. Enjoy!